Seems we're lacking the oh-so-shiny polished R900. 1995, IIRC. It didn't suit me personally, but a great bike. Very nice! Break out the Mother's and polish that baby. "Don't touch the frame! In fact, don't even look at it! SMUUUUDGES!!" Anyway, the bike is long gone. Current owner can handle the daily polish. HA. Joke's on that guy! Last edited by Fahrenheit531; 02-22-16 at 08:17 AM. 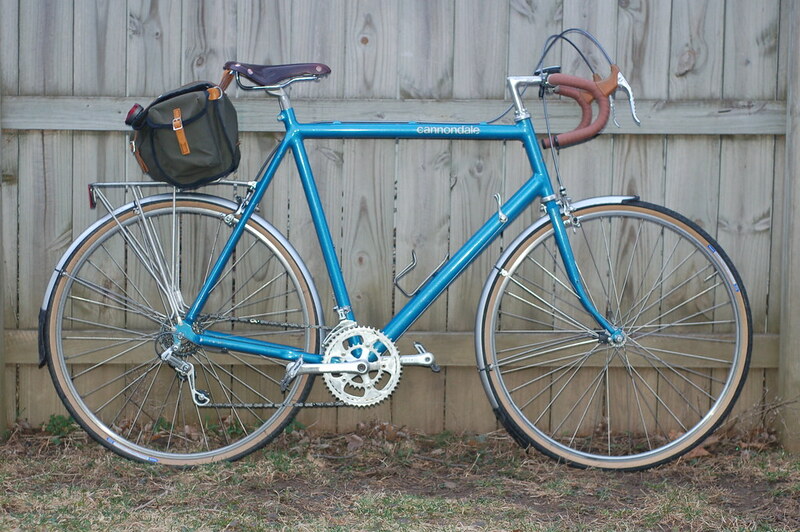 I purchased new from Mt Moriah Bicycle Co in Memphis, TN back in Spring of 1988. Last edited by tyler_fred; 03-06-17 at 05:13 PM. 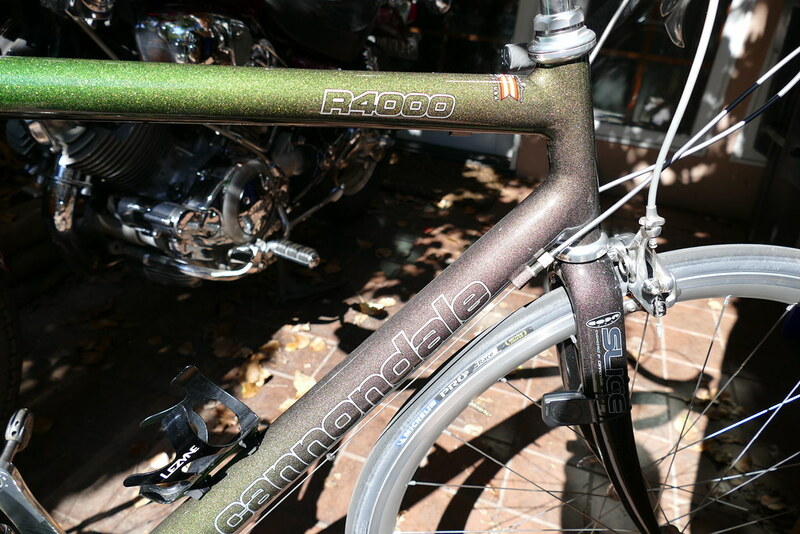 Two Vintage Cannondale threads merged. I purchased new from Mt Moriah Bicycle Co In Memphis back in the '88. Shiny! Did you keep it that clean all these years, or did you do a repaint/PC somewhere in the recent past? 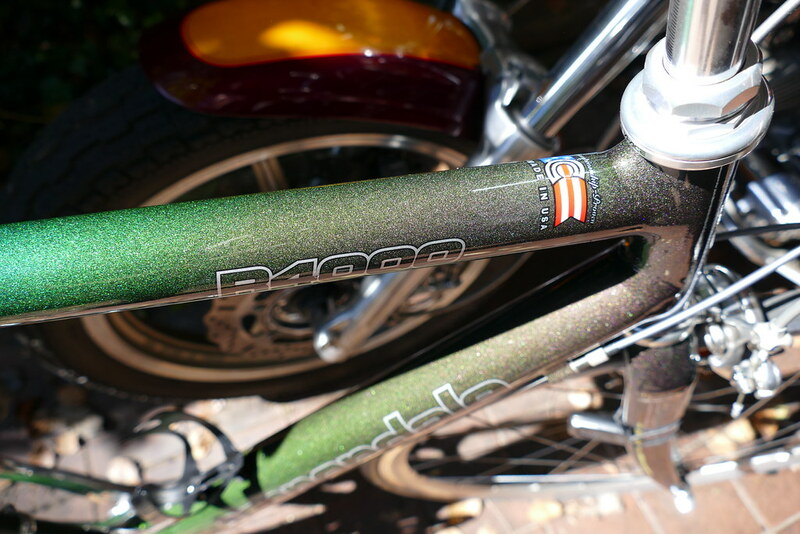 What year is made the Cannondale R300. i have buy one from pawn shop but i not know the year made. is wort to upgrade put brifters? Now have the downtube shifters. How is your ride with your cannondales. Aluminum is harsh ride or not? 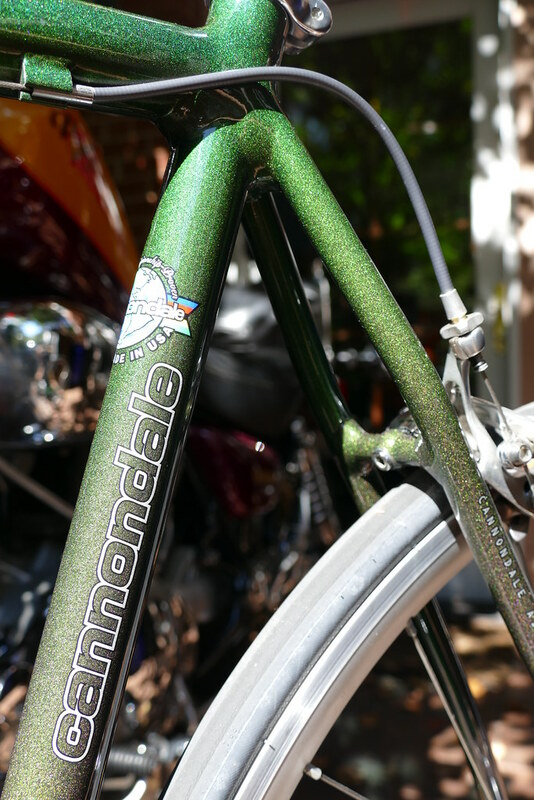 Cannondale Criterium Series bikes ROCK. Nothing compares, once you thrash one on a short and fast ride, you will fully understand why they exist. The harder you ride it, the more you appreciate it. When my wife asks which bike are you going to ride, if I say "the red one", her reply is "I'm not going"
One does not simply ride a Cannondale Criterium in a casual manner. I'm likely going to look at an 89 "not in the catalog red and white paintjob" SR400 on Friday. It's a 66cm, which is great for me, and I have an almost new Sprint group with wheelset to replace the Exage LX currently on it. I can't post pics of mine yet. I'm a techno idiot, so I'll need to get my grandson to help me out. 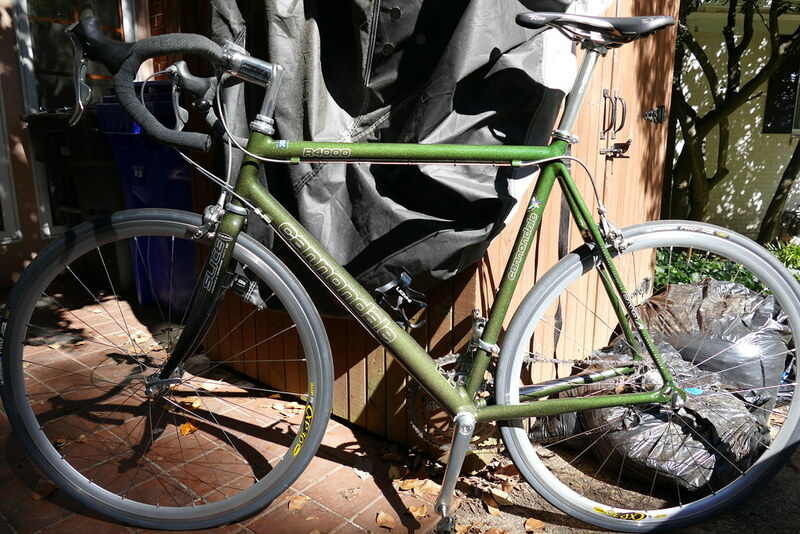 I bought a Cannondale SR400 about 18 months ago off Craigslist. The fellow I bought it from had rode it a couple of times and decided it was too big for him and it sat in his garage for ten years. His wife convinced him to get rid of it. He had it tuned up, new tires and brakes, new wraps on the bars . I got it really cheap and love it. As near as I can tell from s/n and visual clues, it appears to be a '92, but I'm not sure and don't really care. It's perfect for me. Last edited by Bikedued; 02-28-16 at 02:20 PM. 1992 Delta V. After I bought it new, I changed out a few things for looks and weight weenieness. It still gets fairly regular use on the local trails. Did you end up picking up the SR400? Some ole 'Shimano 600' headset. A handsomely designed 100mm quill stem from an aussie Repco Olympic 12 bike circa the same period. 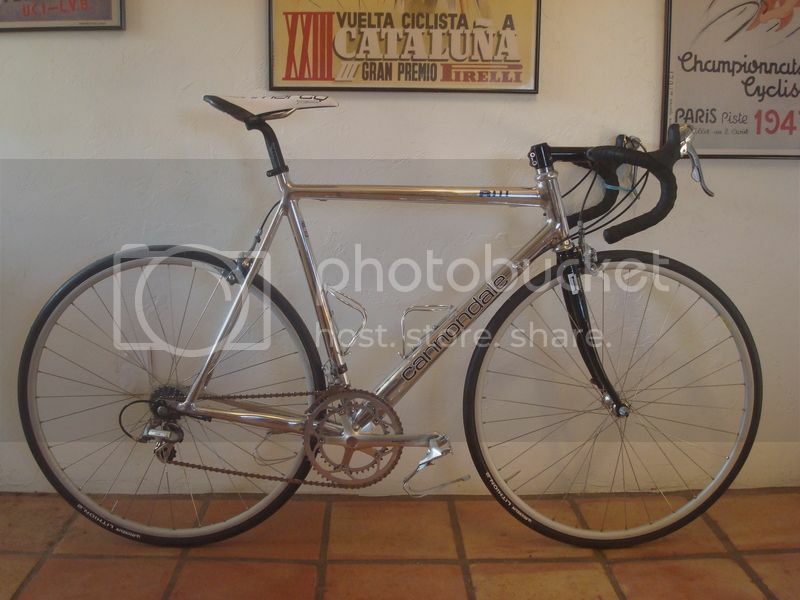 The bike had been let go to rot somewhat when I acquired it but did contain great vintage parts I was able to restore for other future builds, but I decided to go with a modern 10 speed shimano 5700 groupset (black cranks with silver derailleurs and brifters) except for space grey Ultegra 6700 brake calipers and 5800 carbon pedals both which i acquired on sale. 5750 cranks that is - compact, 50/34. and 12-27 cassette). Bontrager saddle pictured is from the Lemond as well but since changed to a white and 'cobalt blue'-striped Fizik Arione. Deep V Velocity rims with bladed spokes and some very basic unremarkable Formula hubs. But I don't know much about building wheels, yet... hopefully they'll last long enough for me to experiment with using better hubs. So, by no means a finished work but a work in progress. Just took the Deep V velocity decals off with paintstripper for a plainer look, too. The barwrap is my first ever attempt so that area should also improve. 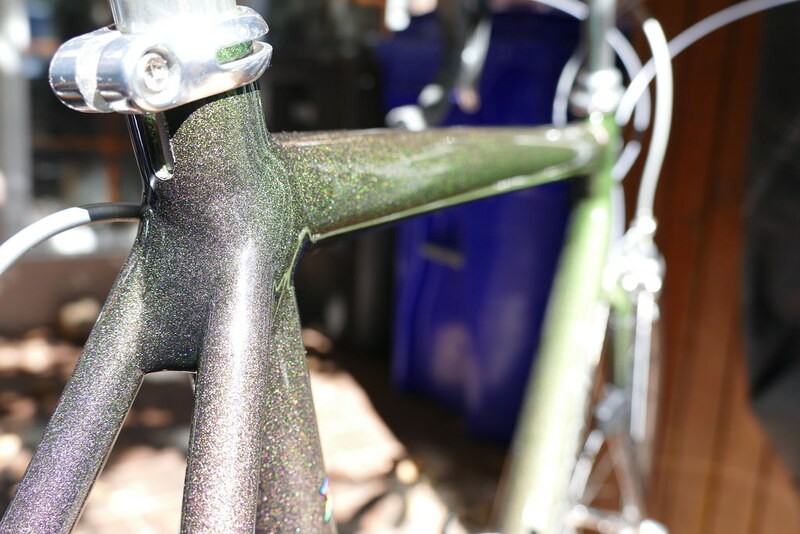 It may or may not get some paint or powder coating later, I haven't yet decided as I continue to look into it as a novice with only some limited workshop spray experience and knowledge and ability to fathom the undertaking of such tasks. I need to more seriously look into that. At the moment it is protected from the elements by turtle wax. Just enjoying getting used to the bike as is as at the moment as I take it on longer rides. 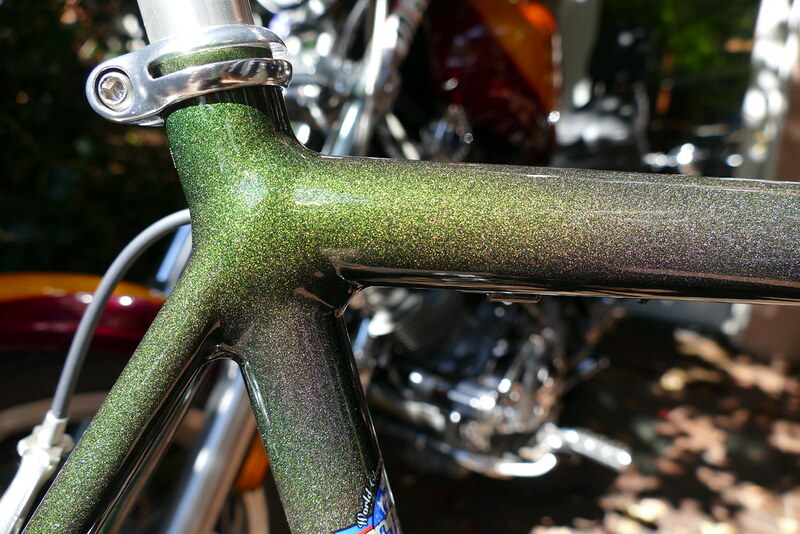 That paint is so cool! Wow .yeah thats the same color as mine is. ive only seen a couple of other ones in this paint scheme. Last edited by fleslider; 03-14-16 at 10:06 AM.